The Citigroup Center is like a shimmering icicle in the middle of a snow-covered mid-town. 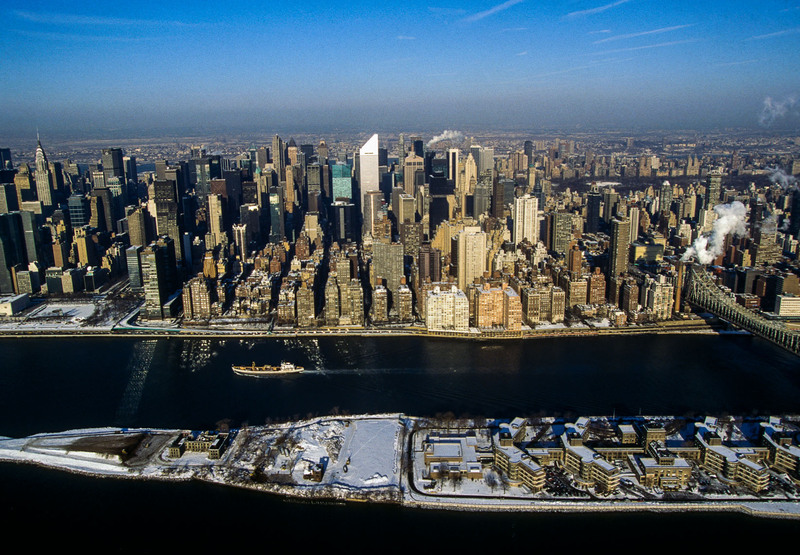 In the foreground is Roosevelt Island. Manhattan, New York City.